Given the current conditions in Iowa City, our next Mock Caldecott review is fitting. 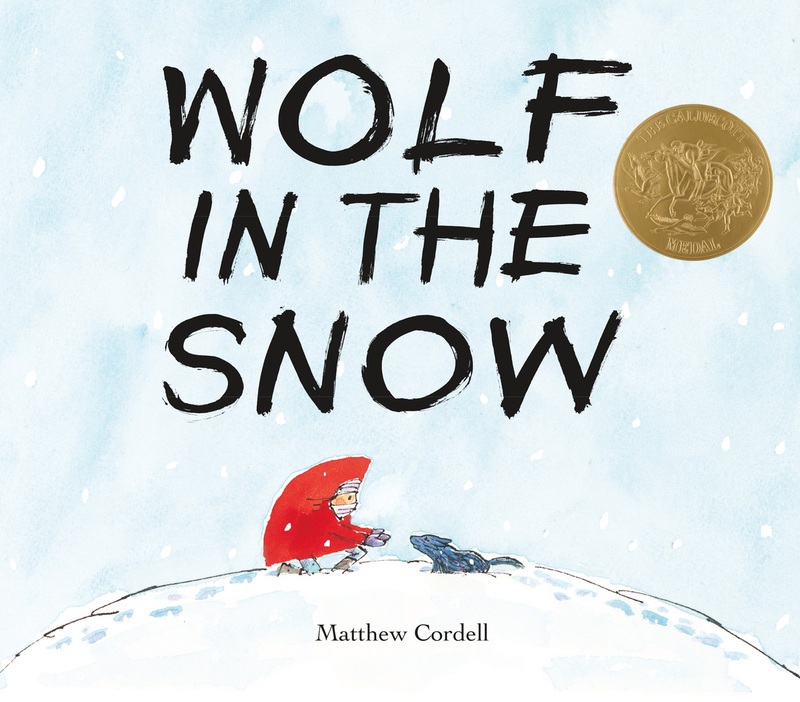 It has been almost a year since the publication of Matthew Cordell’s Wolf in the Snow and somehow it remains as fresh and vibrant as it was when I first saw it last January. It was also just given a Boston Globe-Horn Book Honor. Though stylistically reminiscent of Cordell’s other works, Dream and Bob, Not Bob! specifically, the juxtaposition of realistic pen and ink wolves with cartoonesque watercolor characters is something entirely new. Cordell takes risks here and they all pay off, turning narrative and artistic tropes we see in many picture books and fairy tales on their heads. Be sure to look out for his consistent use of shape and color as well as the incredible expressiveness he manages to show with our protagonist’s very limited facial space. There’s also a special surprise under the dust jacket you won’t want to miss. If you love this book be sure to vote for it as our 2018 Mock Caldecott winner by January 31st.